The Fest Shop is where the largest online Beatles store in the world comes to life. 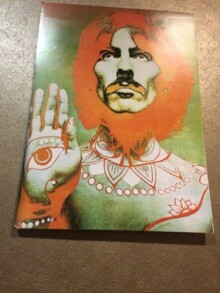 Beatles apparel, books, DVDs, CDs, Vinyl, books, bags, new 2019 calendars, posters, kitchen-ware, bedding, towels, blankets, toys, puzzles, ornaments, magnets, stationery, pens, collectables, accessories, and Every other Little Thing you can think of. Plus, all of the latest licensed items. 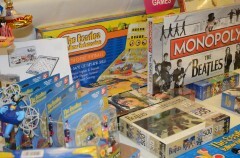 The Giant Beatles Marketplace is filled with vendors from as far away as England and all across America, full of an astonishing array of Beatles merchandise. 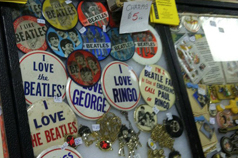 If there’s a Beatles item you’re searching for – no matter how rare – odds are that it’s here. For sale will be collectibles, recordings, videos, vinyl, books, photos, posters, art, & more. 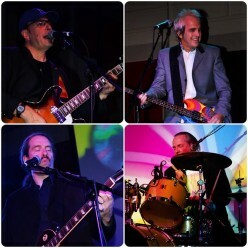 The Fest's house band since they were wee lads, Liverpool - featuring Drew Hill, John Merjave, Chris Camilleri, and John Montagna (filling in for Glen Burtnik) -- will thrill FEST-goers with their note-for-note renditions of Beatles hits and deeper Beatles cuts. Liverpool performs all three nights of each Fest, playing the Dance Party on Friday - featuring our optional 60s Dress-Up and Beatles Lookalike contests - and the Saturday and Sunday night concerts will be highlighted by the performance of Abbey Road in full for the 50th anniversary. Our musical guests will be joining Liverpool on stage for part of Saturday and Sunday's concerts. The Annual Friday Night Dance Party to the sounds of a Liverpool concert always gets the weekend off to a high flying start! Do that hippie hippie shake, it’s a great way to meet new Beatle people and let your inhibitions out the (bathroom) window. 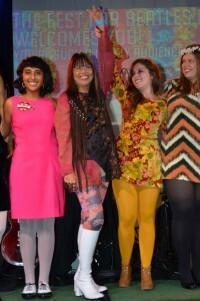 The Party is an optional 60s Dress-Up Night. Find something you haven't worn for decades - or perhaps something you scoop up at a vintage shop or costume store - and get into the era. Prizes awarded for the Best Outfits. We also have a Lookalike Contest as well as lots of Door Prizes. One of the very special aspects of THE FEST FOR BEATLES FANS is the access to our Special Guests - a chance to say hello, get an autograph, maybe take a photo with them, or purchase a CD or Photo from them and have them signed as well. We announce the signing times a week before the FEST so you may plan out your weekend (or day/days) with us. 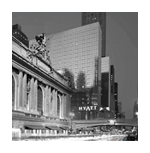 The signings conveniently take place just outside the Main Ballroom in the large Foyer. 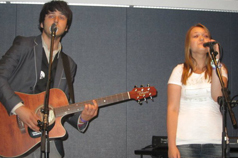 The Beatles Sound-Alike contest is held on Saturday, with tryouts in the early afternoon and the finals in the Grand Ballroom in the evening. where our MC Ken Dashow hostss the finals. All FEST attendees who are performing as solos or duos are permitted to enter (trios must enter the Battle of the Beatles Bands). A piano/keyboard and acoustic guitar will be provided, but you're free to bring your own instrument(s) if you wish. Sign-up for the contest is done on the spot on Saturday afternoon, just in advance of the tryouts. 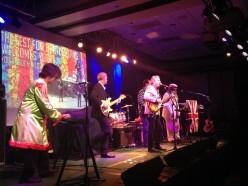 The Battle of the Beatles Bands is always one of the highlights of the weekend! Taking place on Sunday late afternoon, the contest is open to all bands consisting of FEST attendees. Each group will play one or two Beatles or solo Beatles songs in the main ballroom, with the audience serving as the judge for this exciting and fun contest. Participating bands only need to bring guitars, cords for their instruments, drumsticks and their FEST tickets. All other equipment is provided by the FEST. To enter, you must sign up either by phone (1-866-THE FEST), email (bands@thefest.com) or by mail when ordering your tickets. Deadline to enter is March 8, 2019. The Winning Band gets to play a set on the Apple Jam Stage in 2020. Congratulations to 2018 winners Tomorrow Never Knows. They will be doing a set on Sunday on the Apple Jam Stage. 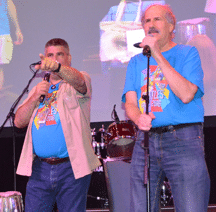 Tom Frangione (of The Beatles Channel's The Fab Fourum) and Al Sussman are the hots for the Live Trivia Game Shows and Name That Tune Competitions each day. Questions range from very easy to quite difficult and it's how quick you recall the answers that makes the difference. Brush up on your trivia, as all contestants are picked from the audience. There will also be some competitions for the younger fans in attendance. 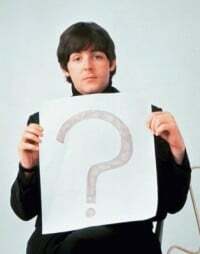 Over 55 years of Beatles History is traced here through pictures, articles and some memorabilia. We have done our own version of remastering (and updating) the Museum. Our popular Kids Art Korner is back - it's a place where youngsters can create Beatles art on site, and have it displayed as well! Crayons, papers, and markers are provided. The annual Beatles Art Contest is where you can show off your creativity in an environment that your Beatles artwork can be most appreciated - by other Beatles fans! Don't be shy, bring your artwork this year, or create a new piece just for the contest. You can check in your Art work with Deco, when you arrive. Prizes are awarded in three categories: Professional, Amateur, & 16 years or younger. Ribbons are given to all who enter. The John Hester Photo Exhibit will also be a part of our display this year. Last year, John displayed some of his photos from his many years attending the FEST. It was so well received, that this year, he is setting up a much more elaborate exhibit. 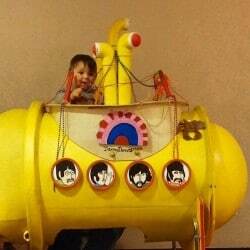 As more second generation Beatles fans are having children, we are expanding our show to include more activities geared to the 12 and under crowd. Here are the events in headline form. The fuller descriptions are found in the activity details. How has The Beatles' message and spiritual teachings transcended to today, more than 50 years later? Turn off your mind, relax and float downstream to find your inner light in The Fest's Beatles Ashram. Learn about the Transcendental Meditation technique, the spiritual avenue popularized by The Beatles on their well-known trip to India to study with Maharishi Mahesh Yogi. Throughout the weekend, the room will feature today's yoga and mindfulness innovators as they share their practices of yoga, sound healing, poetry and words of wisdom. There are so many exciting activities going on at any one time at The FEST that sometimes fans need to stop by our Video and A/V Room to sit back, relax, and float downstream with a wide variety of Beatles and solo Beatles material, running for most of the weekend. Most of the footage is from the Steve Shorten Collection. Alternating with rare footage will be Audio/Visual Presentations from many of our Guest Authors. Yoga and Meditation to Beatles music will take place here -- a great place to relax in Beatles style, Saturday and Sunday. Karen will head up The Beatles Karaoke/Make Your Own Room. Karen has been us for over 25 years and brings years of experience and expertise to this room where fans can come and sing along to almost any Beatles and many solo Beatles songs. There will be lots of fun going on here. 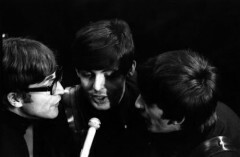 Our Beatles Auction will be held on Saturday afternoon. Anyone is welcome to bring their rare items to enter on the day of the show. We cannot guarantee everything gets in but we will try our best to accommodate. The auction is where some great bargains can be found. If you have any unique items for the auction, please let us know when ordering your tickets. Throughout the weekend many Door Prizes are handed out at random to FEST attendees from the Grand Ballroom Stage. Items such as T-Shirts, Books, CDs, DVDs, Posters, Cirque du Soleil merchandise, promotional material, etc. There will also be a number of Charity Raffles at the FEST, with the money raised going to causes such as Spirit Foundations and The Coalition To Stop Gun Violence. Since we began, in 1974, we have raised over $605,000.00 for various charities. Over the past 44 years of the FEST (nationally), we’ve been piecing together the story of the Beatles guest by guest - those that knew The Beatles and those that have written about them. That will continue this year, as our Beatles authors and experts discuss the Fab Four and the lasting impact they’ve made on society. We have a very impressive line up of Beatles experts as moderators over the weekend. They are Tom Frangione (of The Beatles Channel's The Fab Fourum), Al Sussman, Susan Ryan, Darren DeVivo, Ken Michaels, Rob Leonard & Wally Podrazik. 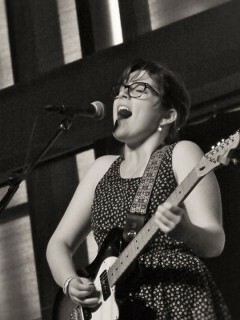 The uniquely talented Jacqui Armbruster is bringing her powerful voice and tremendous guitar-playing back to the Apple Jam stage once again! 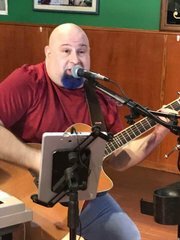 With the addition of the APPLE JAM STAGE in 2015, long time Fest attendee Scott Erickson became a staple of our music lineup. Since then, he has consistently surprised us by playing group and solo songs we all-but-forgot about, as well as entire albums. 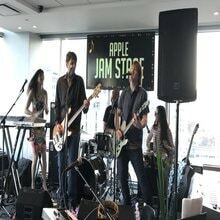 Performing on the Apple Jam stage! Best known for Bill Graham's Fillmore East, John Scher's Capitol Theatre, the CBS series "Comedy Tonight", the Avco Broadcasting "Midsummer Rock" and NBC's "Super Elastic Plastic Goggles" children's series, The Museum At Bethel Woods Center for the Arts honored him with the retrospective exhibition: Pig Light Show: The Music Videos of Marc Rubinstein. 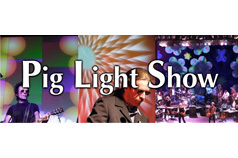 This is Marc’s 9th year at FEST and 50th year as Pig Light Show. Neal Glaser of Celebrity Art started with us 24 years ago as a traveling John Lennon art show and now is the exclusive distributor for Paul McCartney's artwork and the publisher of Ringo Starr's Computer Art. 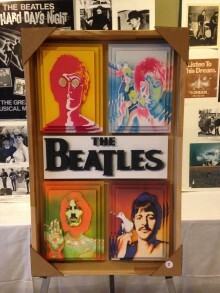 Showing at The Fest, this is the only exhibit that features the signed artwork of John, Paul and Ringo all together. This is an incredible showcase of The Beatles' multiple talents. Come see this one-of-a-kind exhibit and maybe walk away with a hand-signed Beatles masterpiece. Join Deco in this session and bring your poems, prose, and other creative interpretations of The Beatles to share with other fans in an intimate setting. Don't miss the Saturday evening Tribute to Brian, called Brian's Legacy - The World is Watching, 1969, with Wally Podrazik, Victoria Pichla-Luz, and other staff members. It will take place in the FABoratory. You CAN HELP Out While You Rock Out! Please Bring some HEALTHY nonperishables (for people or PETS) to The Fest For Beatles Fans 2019! This is their 5th year with us. 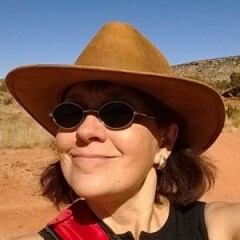 A list of most needed foods CAN be found at www.rockCANroll.org. 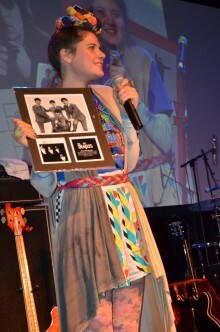 The Fest for Beatles Fans 2019 - Charities: More than $605,000 Raised since 1974! 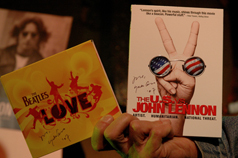 Yoko Ono contributes signed pieces at every FEST to help raise more money for the Spirit Foundation, the organization that John and Yoko set up in the late 1970s to be able to donate to good causes anonymously. Yoko has continued this, donating millions over the years. We will be raising funds through our Charity Raffles and Charity Auction items. 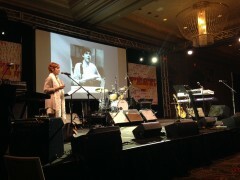 The FEST has been raising money and awareness for the Coalition To Stop Gun Violence since early-1981. It is 37 years since we lost John to a crazed person with easy access to a handgun and there is still a lot more progress that needs to be done to cut down on the amount of gun violence that still exists in America. This is The Theatre Within's sixth year with us. Their 38th annual Salute to John Lennon, with the Rosanne Cash headlining, takes place Friday, Nov 30th at Symphony Space on Broadway and 95th street. Some tickets are still available. Get tickets HERE!